Then he stopped, so proud and pointed. to a tree. I stood for a moment trying to figure out what it was he wanted me to notice. Then faintly in the bark I saw it. The heart. Carved out in the hand of a teenage boy. Inside it contained our initials. MD + HR. There it was! His love declared to all of the world, or at least all of the camp! For that week I was his and he was mine. The heart there as a testimony to our summer love! That day was decades ago and “MD” is a distant memory, but the sentiment, like that carved heart, still stands forever on that tree and in my mind. Today my heart and life belongs to another. After 22 years together it can be hard to find a way to show him how much his love still means to me, especially when it comes to Valentine’s Day. Let’s just face it our guys (at least mine) aren’t much into pink and red and frills and lace. Chocolate…maybe, roses…not so much. I decided that I needed to find a more simple, clean and masculine gift that was still personal and meaningful. 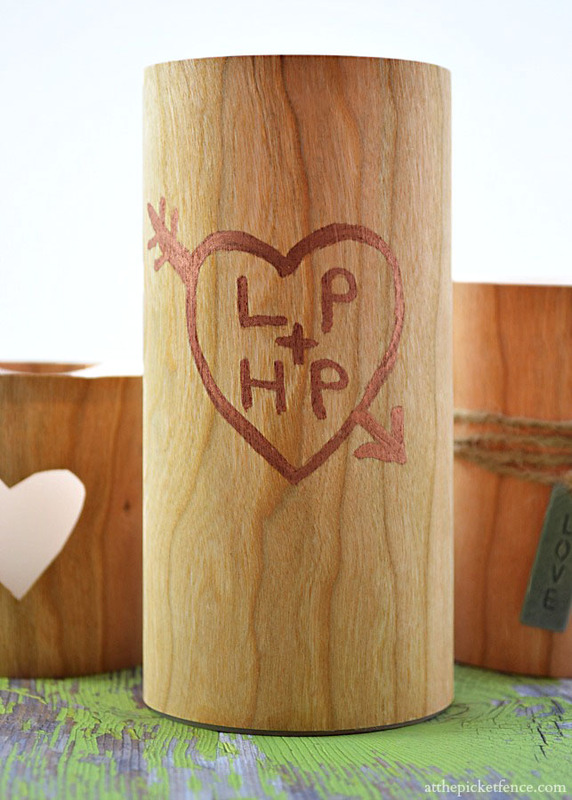 I came up with these Faux Wood Valentine’s Day Candles. Because even if they won’t admit it, most guys don’t mind a little romantic candlelight in their lives. smile! Here’s how you can make a set of your own! 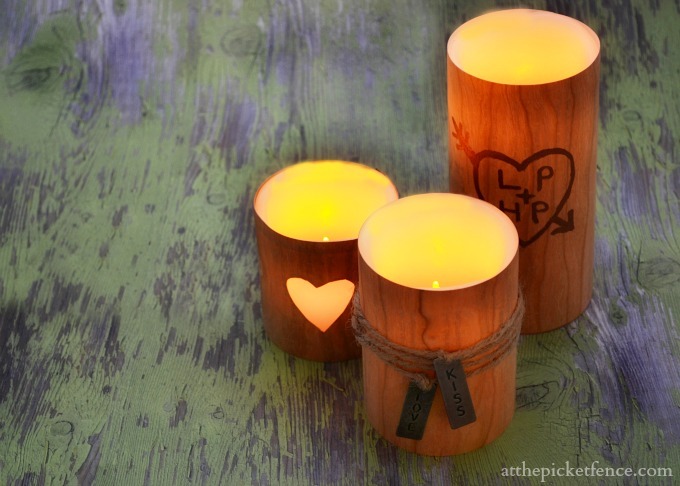 Measure and cut each piece of wood paper to fit each size candle. 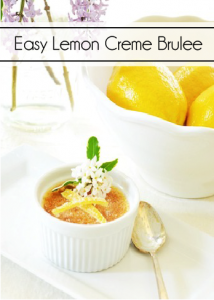 Make sure to have the factory cute edge at the top of the candle for a clean line. For the first candle. Trace and cut out a heart shape in the middle of the paper on the back using a stencil or cookie cutter. Using Modge Podge apply glue to the paper and roll the candle creating a nice smooth finish. Fold paper and seam and cut to fit with a slight overlap of edges. Apply Modge Podge to edges and over overlap for a tight seal. 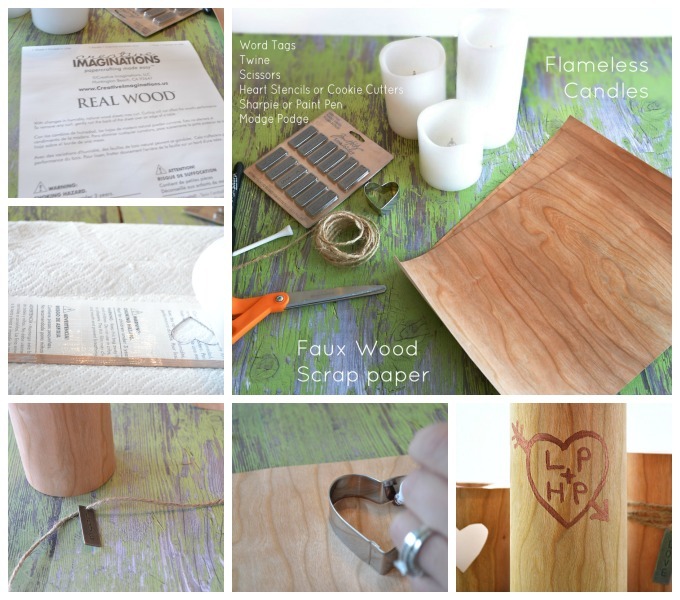 For second candle, use same technique as above to apply wood paper. String one word tag into middle of long piece of twine. Knot at top of tag. Wrap twine around several times and knot and cut on back. String and knot second word tag and align slightly above first tag. Wrap around once or twice and knot and cut in back. For third candle, Cut paper to fit. Lay out flat and using a heart shape cookie cutter or stencil trace out a heart with something that will leave an impression in the wood. Add in initials and arrow. Trace this with brown sharpie or paint pen (I used a copper paint pen). Allow to dry and apply paper using instructions above. I just love how they look lit up at night! The flame shines softly through the paper and the cut out of the heart. The fact that they are flameless means no worries about my guy accidentally leaving a candle burning. In fact, I adore them so much I might keep them for myself! a reminder of how much I still love my guy! 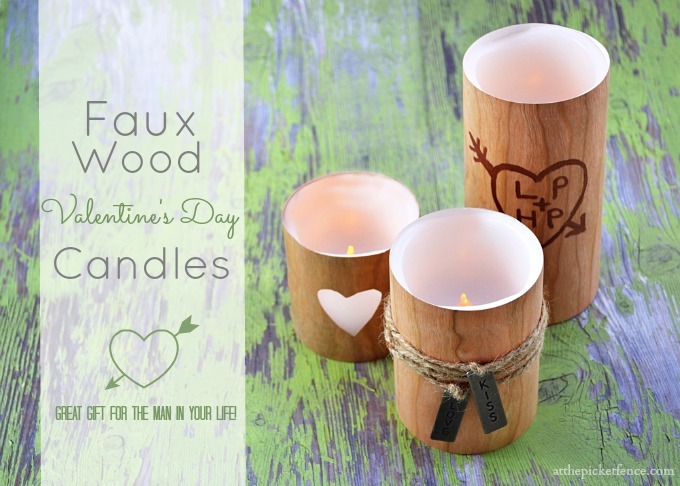 33 Comments on "Faux Wood Valentine’s Day Candles"
What a great idea! If only I had known this two days ago while photographing my mantel. I only had one birch candle so I photoshopped the other one in. Lol. 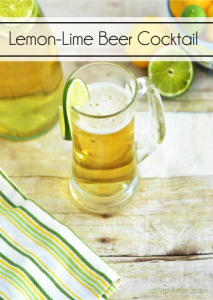 I think I might need to make these, they are so cute! Such a cute idea. I love the faux wood. Perfect for Valentine’s Day. Awe, so sweet! And congrats on the 22 years! Aww…you cute little thing! What a sweet little tale. 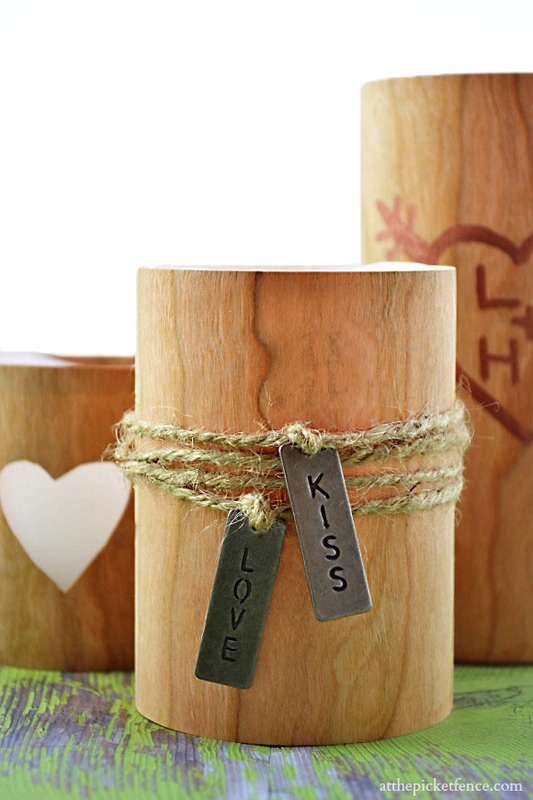 I love your idea of these little log candles and love initials! You’re amazing on all that you come up with. Love these! This is always my favorite concept on Valentine’s Day…it’s just so fun. Oh how adorable. I love them. This is such a sweet thing to do, Heather! That looks like such a great gift! My husband’s not really all that into candles, but I bet if I made something like this that would change his mind. Thanks for posting! These are adorable! love the “carved” heart-! and the story makes them all the sweeter! What an amazing craft idea! I love it! Have a great weekend. Wow, Heather and Vanessa! 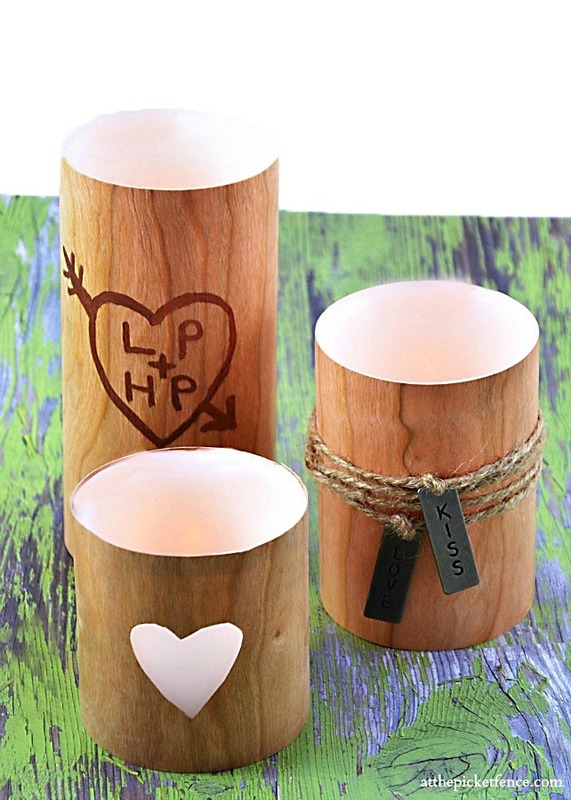 Beautiful candles- very masculine but romantic. These are adorable! Such a cute and simple craft idea 🙂 Thanks for sharing! These are darling! I love them, how sweet. LOVE these! 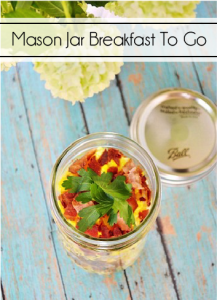 What a super cute idea, Heather! Pinned it! These are so precious! I love them, such a great idea. So very, very cool and totally man-lious. I think when I make these (and I’m definitely going to) I’ll use a burlap heart. I wanted something unique for my honey on Valentine’s Day, so I just tried this idea. I love it!! I couldn’t find just the right faux wood paper, but found some close enough. I can’t wait to present these to him next week! Thanks for sharing this awesome idea.